Photo Puzzle with Interchangeable Pieces! 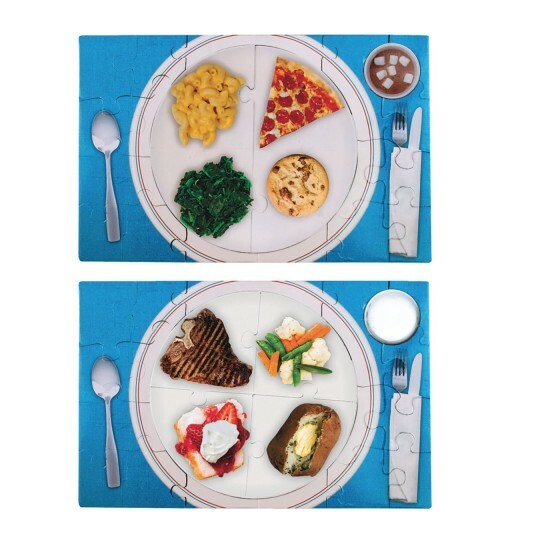 Mix-and-match food and drink combinations. It's a fun, hands-on guide to healthy choices! Soft drink and burger, or salad with salmon? Nig, chunky puzzle pieces are easy to grasp. 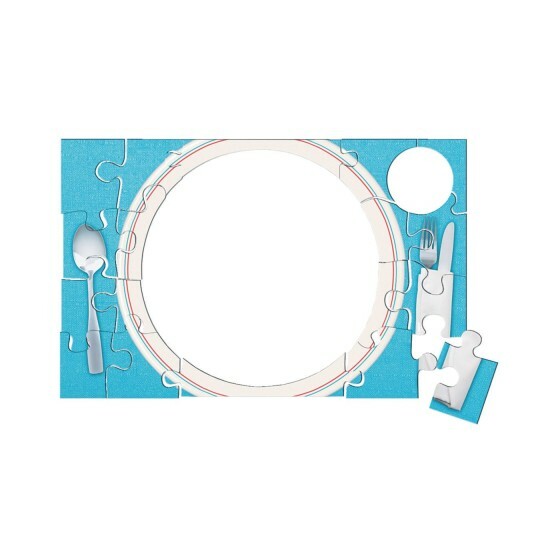 Our nutritional photo puzzle features interchangeable pieces! Mix and match any combination of food and drink, giving clients a fun, thought-provoking and hands-on guide to healthy choices! Should they choose a soft drink to go with that burger, or a salad with that salmon? 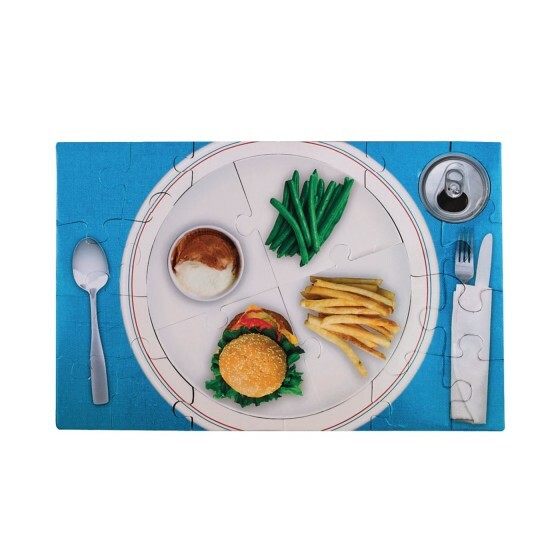 Detailed images of a plate and utensils further add to the realism. 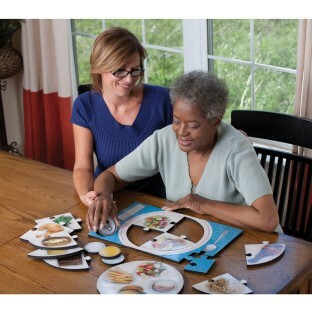 Big, chunky puzzle pieces are easy to grasp and printed on soft, 3/8"-thick, non-toxic foam. Tear- and moisture-resistant for supreme durability. 43 puzzle pieces fit neatly in the included storage box. Finished puzzle measures 11" x 17". Practice makes perfect healthy meals! The pieces can be interchanged. Showing the person how to create the perfect meal without having to prepare real food. good but could be much better! It's hard to get the pieces together. 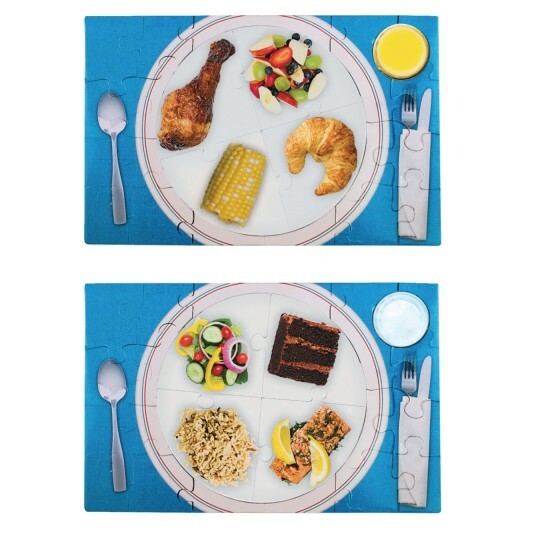 Fork and spoon are not on the correct sides of the plate. Utencils wrapped in napkin are confusing for folks with cognitive or visual/perceptual impairment.